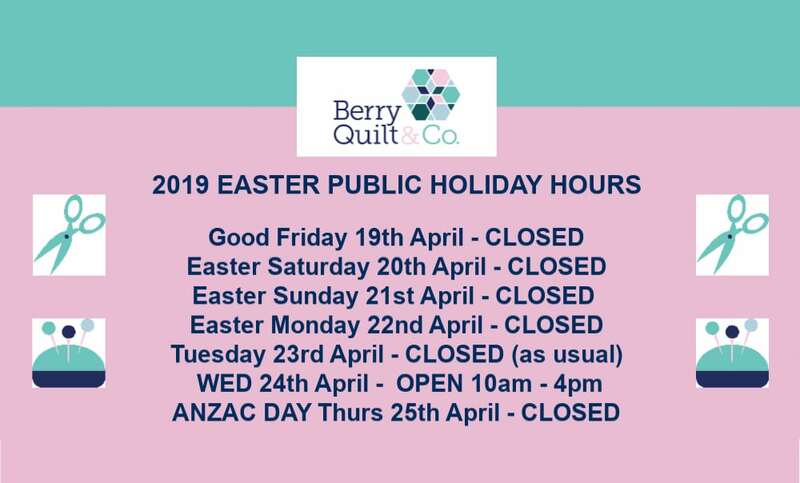 2019 Easter Break | Berry Quilt & Co.
We’re having a break just like you over Easter!! We will be closed Good Friday, Easter Saturday, Easter Sunday, Easter Monday and Tuesday 23rd April. We will be open on Wed 24th April and closed again on Anzac Day 25th April. Normal trading hours will resume on Friday 26th April when we will be open from 10am – 4pm 6 Days a week. Remember, we are always CLOSED on Tuesdays, CLOSED on Public Holidays and also CLOSED on Mothers’ & Fathers’ Days. 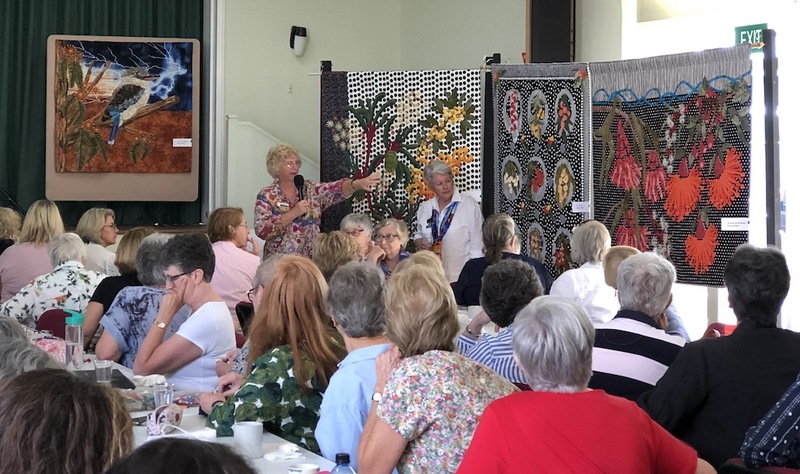 Visitors are often surprised to discover we are open on Sundays but yes, unless it is a Public Holiday you will find us open between 10am and 4pm each Sunday but don’t forget Tuesday is our odd job & paperwork day when the shop is always closed. We love meeting visitors to Berry and showing them our lovely colourful store but we will be enjoying the public holidays just like you!